I do not even know where to begin!! From the day we found the Oceanview of Nahant online we were obsessed. The obsession continued during our first viewing of the venue where they even had customized welcome signs on the front door with our names! Allison helped us throughout the beginning stages and we cannot thank her enough! She answered all of our questions right away and made the planning process so much easier! Matt helped us during the final meeting to ensure everything was set up perfectly for our big day. On the big day both Matt and Ralph were there for us during every step of the way! Ralph is AMAZING!! He made sure we sat down to eat dinner and was always there for us when we needed him. He also made sure my bustle was perfect and my dress did not rip! 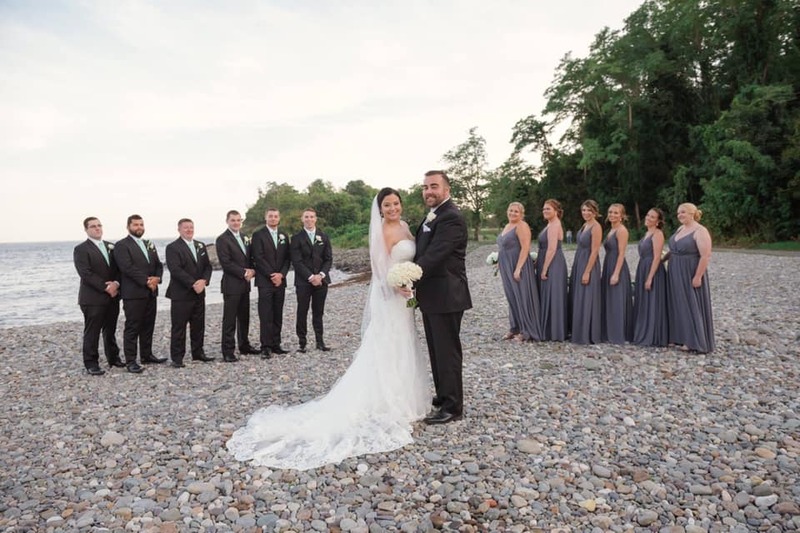 We love everyone at the Oceanview of Nahant for making our big day so special! Our guests are still raving about the food, the fun, and the view!! If you are looking for a venue please LOOK NO FURTHER!!! You will not regret getting married here. It was truly the best day of our lives and we owe it all to the Oceanview of Nahant!!!! THANK YOU!!! !